Variations of the classic ‘Bouquet Garni’ (which literally translates from French into “a garnished bouquet”) have been around since the early 1600’s. This timeless method of infusing casseroles, sauces, stocks, and stews with the aromatic flavors of fresh herbs is a wonderfully simple way to add a new dimension to household favorite recipes. Traditionally, bundles of fresh herbs were wrapped in cheese cloth, added at the beginning of cooking and removed before serving – allegedly, to prevent dinner guests from discovering the secret ingredient of well-guarded family recipes! These days, bouquet garni are a beloved country kitchen staple and are super easy to make. 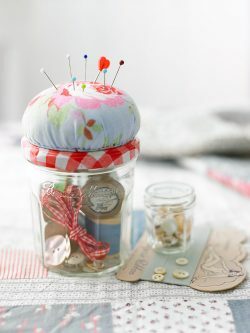 Simply gather some of your favorite fresh herbs (dried also work) and pop them into a muslin bag. If you don’t have this on hand, take a spare coffee filter or empty a teabag, place the herbs in the middle of the material, then gather the edges until the herbs are encased and tie at the top with string. 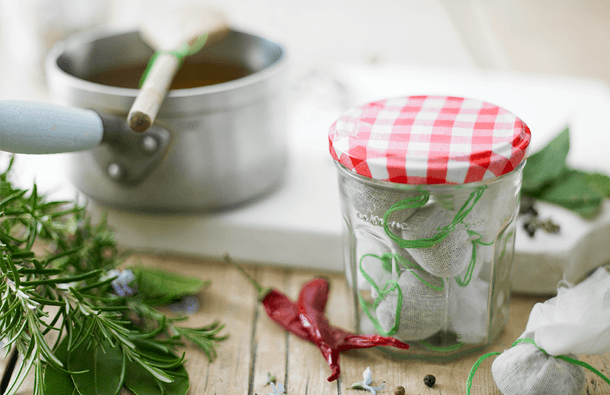 Storing pre-made bouquet garni in a sealed container is key to prolonging freshness and aromatic scents… naturally, a classic Bonne Maman jar is surely the most chic option. Traditional bouquet garni ingredients include parsley, thyme, and bay leaves, but other popular additions include rosemary, lemon peel, fennel leaves, peppercorn and even chillis! Storing Herbs and Spices; Simply attach Bonne Maman lids to the underside of a shelf, fill the jars with your favourite flavourings and screw in place for an eye catching and easy to use kitchen feature. 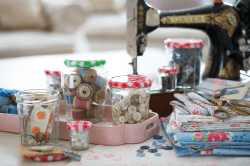 Gardening storage: use our Bonne Maman jars to plant and store your favourite garden supplies. 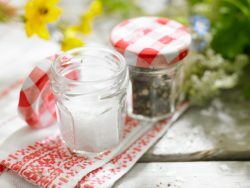 Salt and Pepper dispenser: Brighten up your table with mini jars of Bonne Maman filled with salt and pepper. Simply poke holes in the lids and you’ll instantly have one-of-kind everyday shakers. 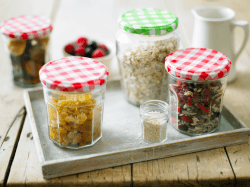 Breakfast in style: Keep mixed nuts, seeds, dried fruit and a medley of different toppings in our Bonne Maman jars to allow everyone to pick and choose their own perfect morning breakfast recipe.